I’m fine, happy because my homecoming dance is approaching verry fast.I want to look great at the party and I’m looking for the perfect dress. I find a nice shop with some beautiful dresses, and I wand to show you a few models that I liked. Let’s begin, but before I want to tell you that I chose black and that I will show first Prom Dresses 2016. At this dress i like verry much the top model, is nice and classy, the lenght is perfect and I wear it with heeled sandals. Worth mentioning :to the back has zipper that facilitates the dressing. What do you thing about this dress, do you like it? The second dress is also black, is from satin. It is made so that the bra is built, and you and don’t need to worry because this issue. I really like the skirt, is verry chic,and give this dress a special note. I would definitely wear it with black heeled sandals. So this is my second option, what do you can say about this dress? The third option is an orange dress, i like it beause It is short in front and long in back, is buit with bra, and It has a beautiful model. Now that I have shown you what models I like, let me tell you something about this shop and his website, is about homecomingirl, where now you cand find a verry good discount, up to 80% This promotion is valid up to date 30.08.2015, and if you to be special at you prom you need to decide now to benefit of this nice promtion. Another thing that I liked is that every detail of dress is passed with table sizes, and also has picture that show you how to measure right so you can buy the perfect dress for you. You will find on the site other models of gorgeous dresses,that benefit from discounts. I will show other dresses because I can’t decide what I want to were at my prom. This dress left me speechless.I really like the top model, is perfect for those girls who like sparkle. This is the last dress I will show you because I want to invite you to visit the website and to tell me what dress do you like more. 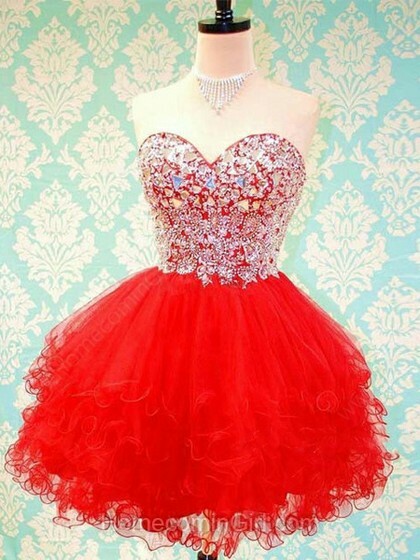 My dear if you want to look gorgeous at you prom please visit Dressesofgirl and I’m sure that you will find the perfect dress. I’m realy glad you like it. Have a beautiful day!